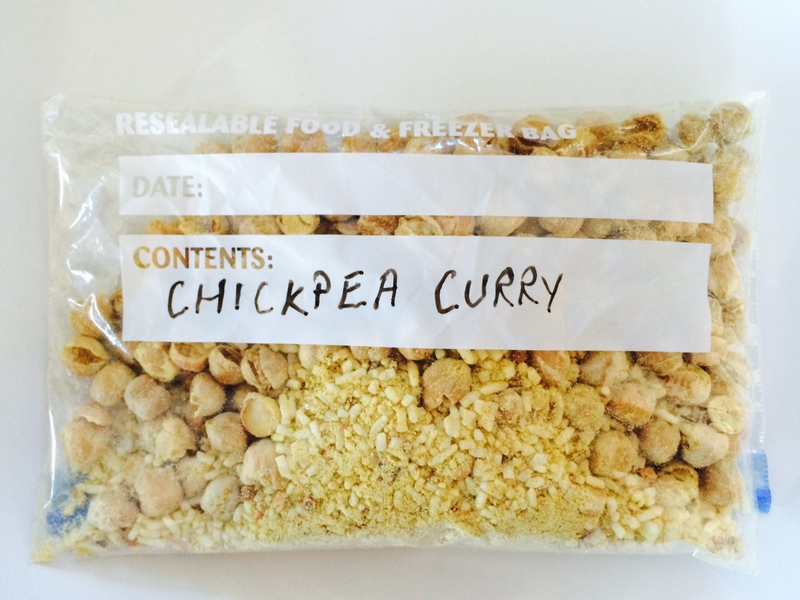 FOOD for THOUGHT – What freeze-dried food for multi-day racing? Niandi had always planned to take ‘real’ food such as Billtong, Parmesan Cheese, nuts and other similar portable and high calorie foods. However, Niandi’s main meal of the day will be a freeze-dried option. 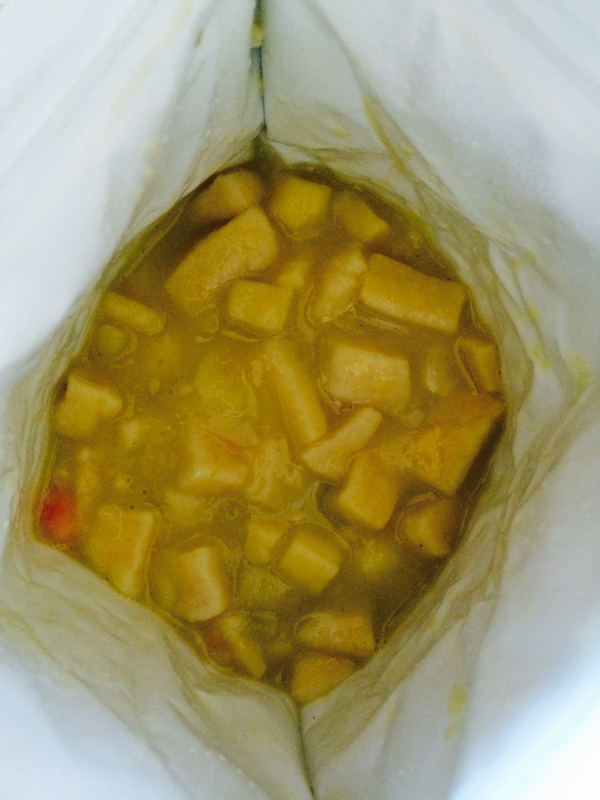 The question of hot food or cold food is a dilemma that you will each need to work out. Needless to say, all these food options can be eaten with hot or cold water. 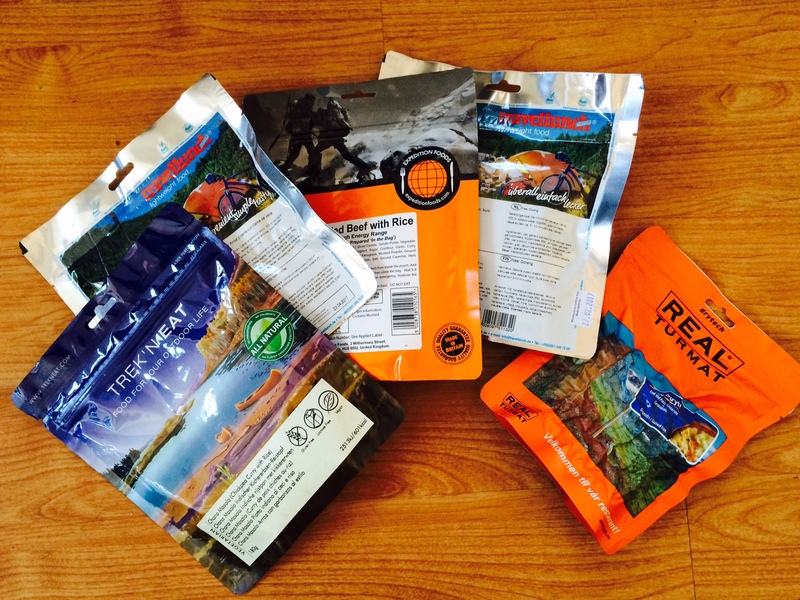 I recently discovered a great site specializing in freeze-dried foods for outdoor and endurance events. 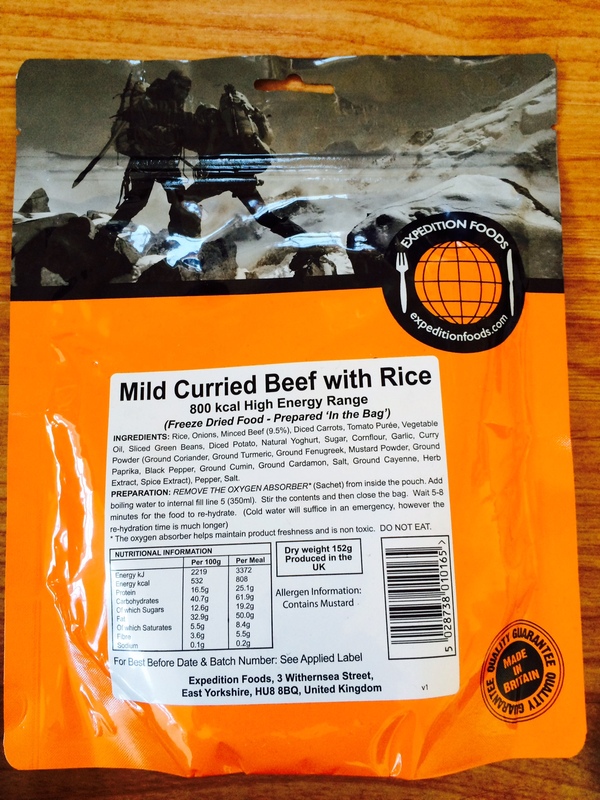 I am taking part in MDS 2015, a multi-stage self-sufficiency event and therefore I need high calorie food in lightweight packages. I contacted LYOPHILISE.COM to test 5 of the dishes on the menu! Evening meals as I will be taking some of my own favorite snacks during the day. 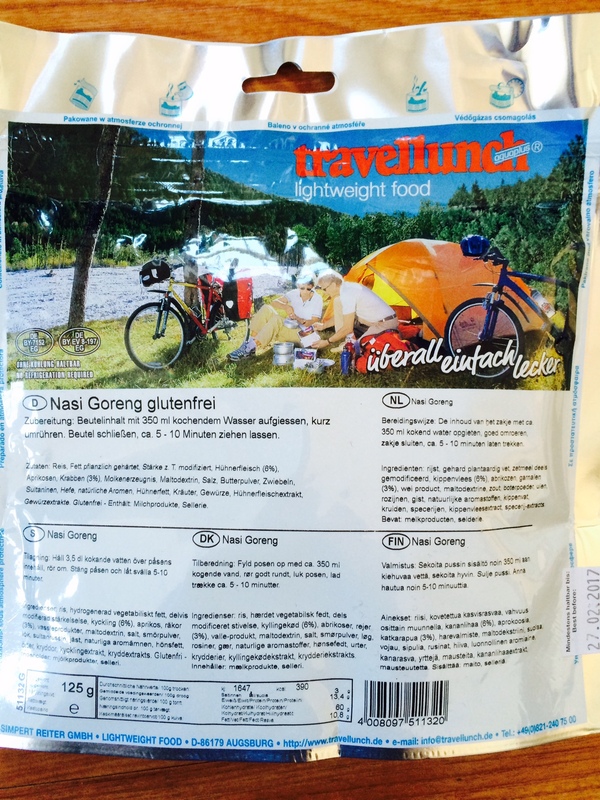 Having said that, this site also provides breakfasts, desserts, snacks, MDS packs, drinks and so on… all for the adventure/ multi-stage and/or endurance athlete. High calorie to weight ratio. I want to limit the weight of my pack to the minimum requirement of 6.5kg and so my selection was based on high calorie/ low weight foods. This meal comes in 2 formats. A single portion or a double portion; I really liked this dish. Very tasty and very morish, I could easily eat this as a meal replacement. The texture is great. The rice absorbs all the water and provides the dish with just the right texture – it’s not soggy, soupy or gooey like so many freeze-dried dishes. And it is seasoned with just the right amount of pepper and spices. What I like too is that all the flavorings are natural and guys, who usually need more calories, can have double portions as this dish comes in 2 formats. The dish is relatively high in carbs so perfect fuelling before the long stage especially if you consume a double portion. Or alternatively it can be used as replenishment after the long stage when you are running low on carbs. 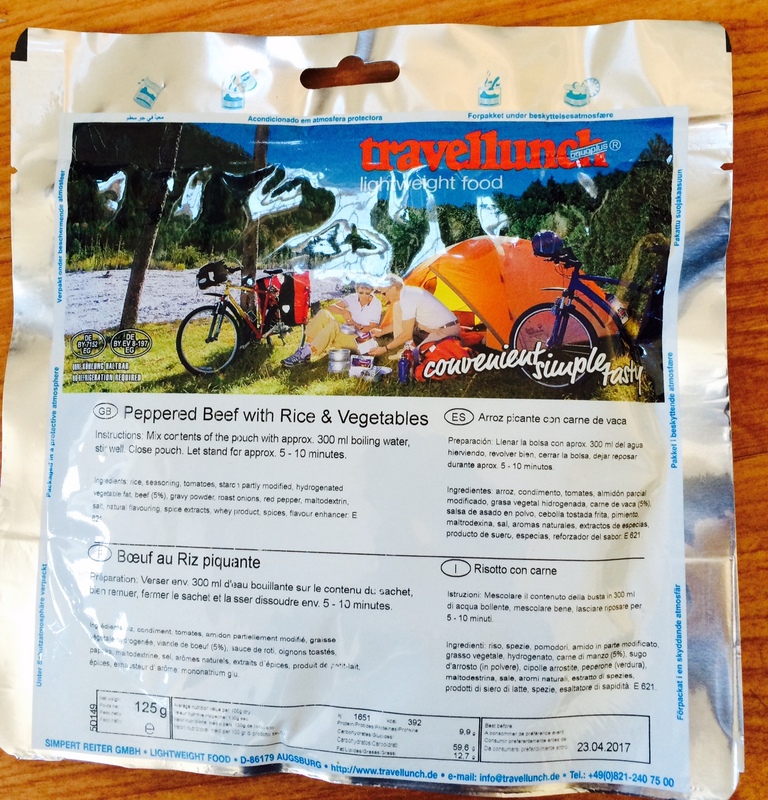 What I liked less was the packaging – Travellunch could make their packets easier to open. When you’re in a self-sufficiency event you really want something that’s easy to cut open and reseal. It’s also great value for money compared to some of the other brands at 4.45€ for a single portion. I’ll be taking 3 of these to MDS. This is another of my favorites and I’ll be taking a couple of these to MDS too! Of all the meals I tried this was definitely the tastiest. Again this is a meal I would happily eat as a meal replacement. It’s mildly spicy and although it is a curry dish it is not hot. It’s very palatable. The diced and sliced vegetables are a great little touch to this dish. The texture is great too – nothing soggy and watery or bland about this dish – with a little imagination I could be sitting in the local curry house….In comparison with the previous rice & beef dish, this one has a considerably higher fat content and is lower in carbs. 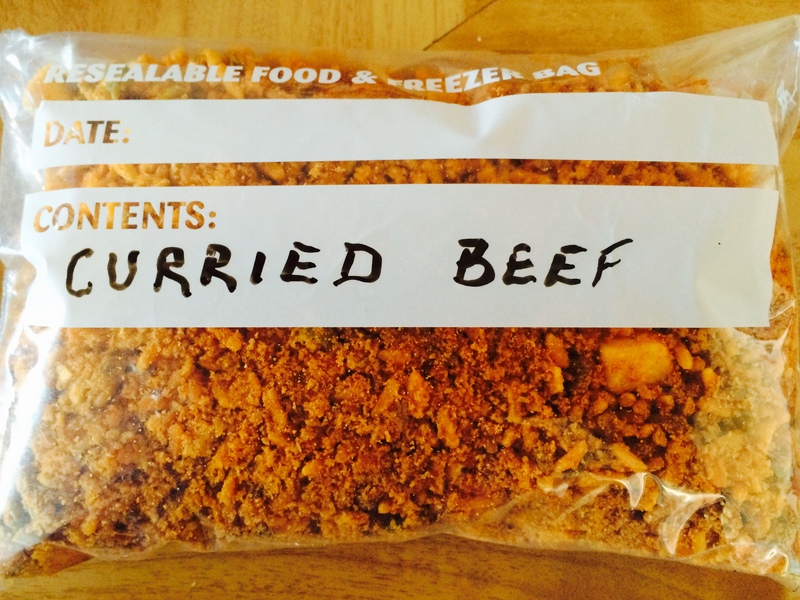 The bag is really easy to open and reseal so very practical. What’s great about this dish is that you can also prepare it with cold water so if you feel like a meal during the long stage at night you can just whip this out and add some water – bear in mind that the re-hydration time will be much longer. This dish was far too hot and spicy for me! I definitely can’t see myself eating this after a day’s running in the desert! It’s supposed to stand for 10 minutes to re-hydrate but I found that the chickpeas were hard and crunchy. The dish just didn’t do it for me. The lack of taste and blandness might have something to do with the fact that it is gluten-free and also very low in fat. 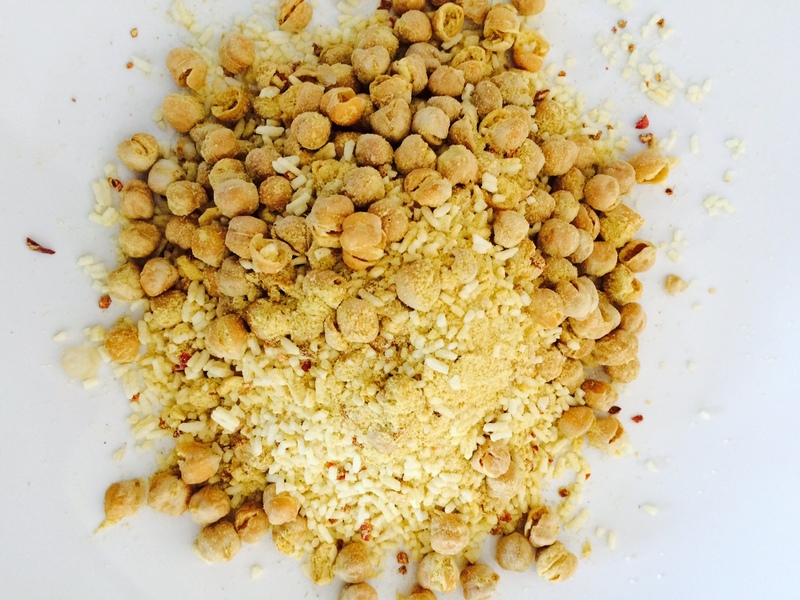 52% rice, 22% chickpeas, sugar, onions, iodised table salt, spices, apple, maltodextrine, paprika, mustard, coriander, cayenne pepper. Bland and tasteless. Not very appetizing looking and watery/soupy even after re-hydration. Tastes very floury and more like some bad potato/fish soup rather than a casserole as the name suggests. Very good energy to weight ratio with 501cal/100g and high in both fats and carbs. Another gluten-free option but not for me. Potato, cod pâté 18 % (cod 88%, potato flour, salt), sour cream, green pepper, carrot, onion, wheat flour, soybean oil, fish bouillon, salt and seasoning (celery). 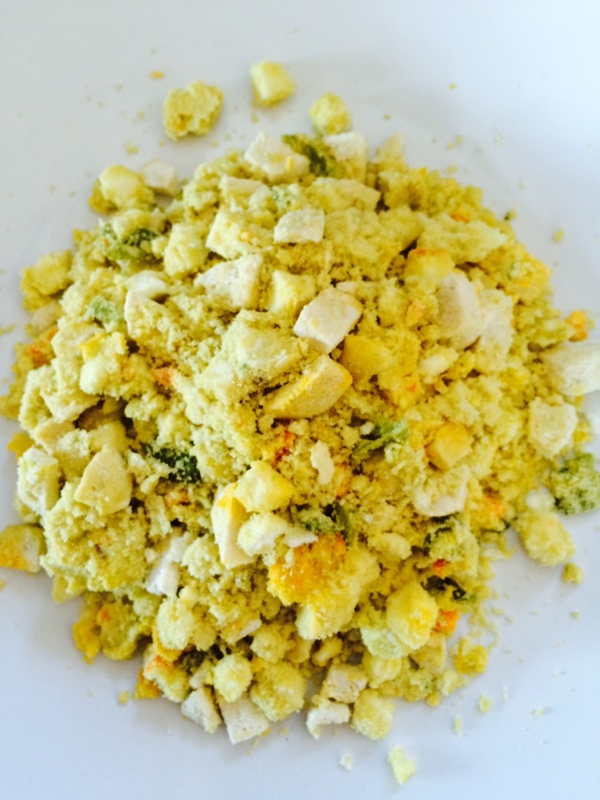 A gluten-free dish and of Indonesian origin. I chose this dish having eaten a lot of Nasi Goreng in the Netherlands. The dish has quite a lot of flavor but the texture is a little odd like so many freeze dried dishes. 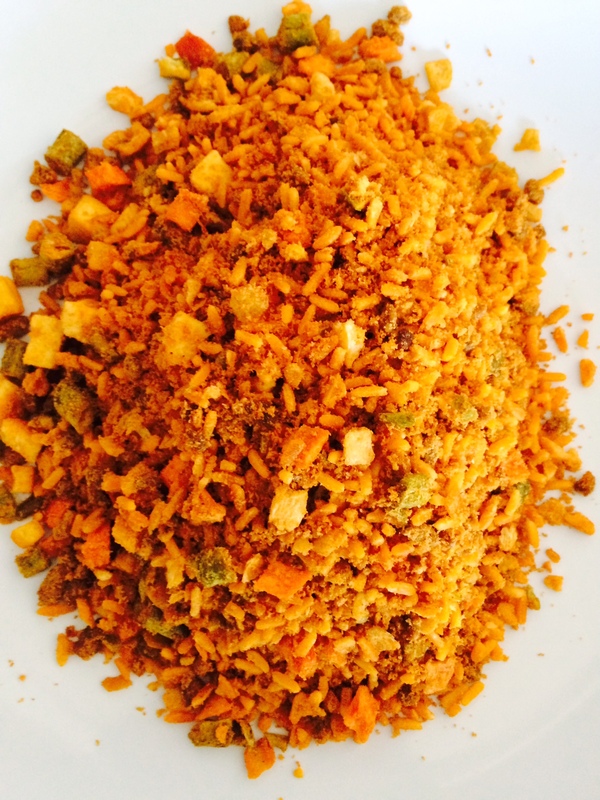 However, the apricots, sultanas and spices add a nice touch to the dish and the meal is quite flavorsome. Once again the packet is not as practical to open and reseal as other brands. It’s very high in carbs and relatively low in fats compared to some of the other dishes with a very good weight to calorie ratio. Definitely a dish to be consumed pre or post a long day. Ingredients: rice, hydrogenated vegetable fat, starch partly modified, chicken (6%), apricots, shrimps (3%), whey product, maltodextrin, salt, butter powder, onions, chicken broth, sultanas, natural flavoring, herbs, spices, spice extracts. Contains: celery. 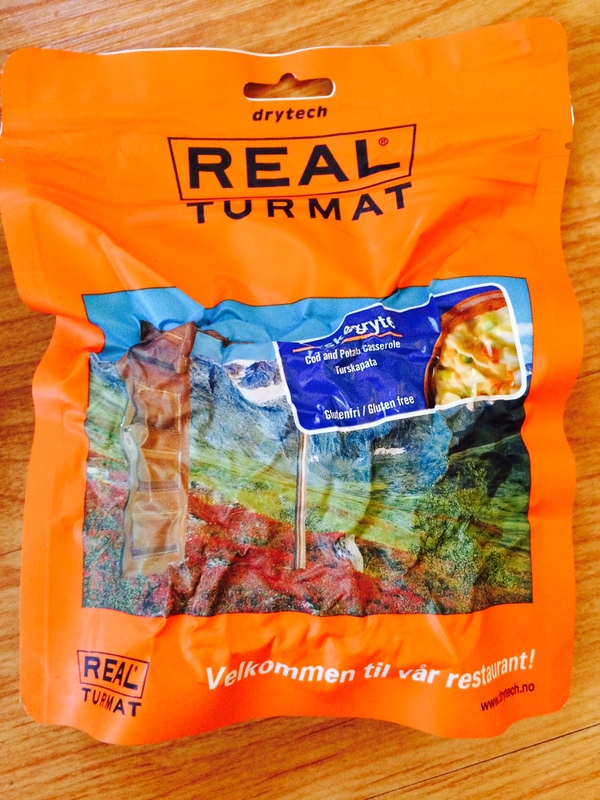 Lyophilise is a very comprehensive site with an impressive list of different freeze-dried brands. The customer service is very friendly & professional. Delivery is fast if the products are in stock. There is an on-line customer service. They provide gluten-free, lactose-free and vegetarian options. There provide special MDS packs that offer a one-stop shopping scenario. 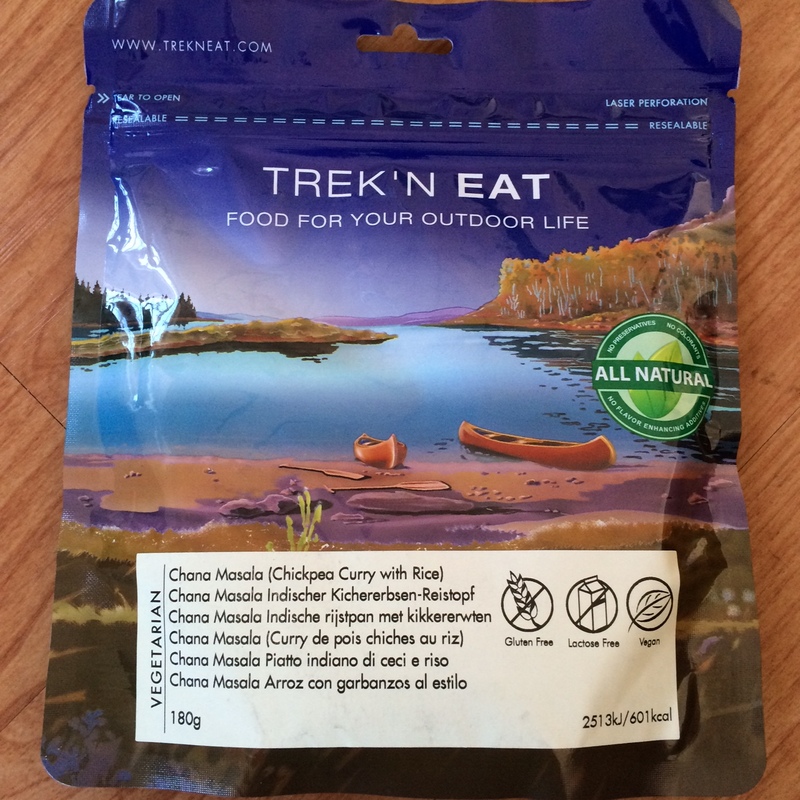 This entry was posted in Uncategorized and tagged atacama, dried food, dried food for multi day racing, energy, food for the desert, freeze dried food, gluten free, Marathon des Sables, MDS, Nutrition, price, racing The Planet, Sahara, taste by talkultra. Bookmark the permalink.